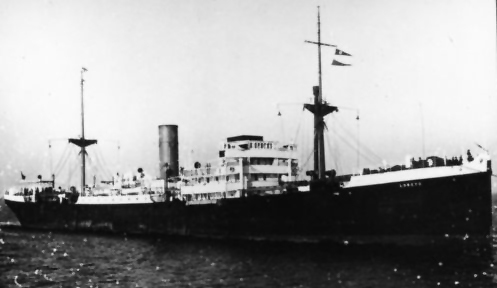 Sold to the Pacific Steam Navigation Company in 1923 and renamed Loreto. When part of a six ship convoy which was attacked by the German battle cruisers Scharnhorst and Gneisenau on 22nd February, 1941, 400 miles east of Newfoundland, she managed to escape into a fog bank and was the only survivor. In 1942 she caught fire in Valparaiso, a fire bomb was thought to be the cause.